People generally throw away the egg shells. Egg shells rich in minerals, especially calcium carbonate. You can put them to several uses. 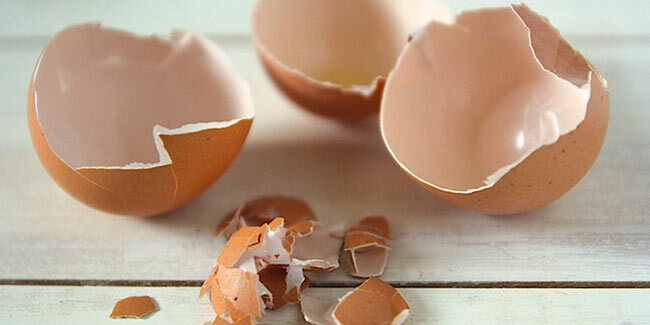 Prepare your own homemade remedies using egg shells. Eggs are good for health and you already know that for sure. They are rich source of protein, calcium and minerals. You probably already have eggs in your breakfast menu. But did you know that the shell of the eggs that you throw away in the bin are useful too. So it’s time that you don’t waste all those useful eggshells and put them to some use. Here are some of the amazing egg shell benefits that you would be surprised to know. If you have been thanking eggs for all the calcium they add to your breakfast, you will be glad to know about the egg shell uses too. A 2005 study published in the Brazilian Journal of Poultry Science stated that around 97% of the content of egg shells is calcium carbonate. So you can strengthen your bones with the help of egg shells. All you need to do is boil some egg shells for around 7 8 minutes in a pot at high heat. Remove the water from the pot and let the egg shells dry for a couple of minutes. Microwave the shell for 2 3 minutes to completely dry them. Now all you need to do is grind the egg shells and your natural supplement powder is ready. Add the powder to a glass of fresh fruit juice or water and drink it to get stronger meet your daily recommended calcium intake. Making your own homemade natural plant fertilizer is one of the most amazing egg shell uses. Egg shells contain calcium carbonate and traces of phosphorous, magnesium, sodium and potassium which can be very useful for your plants. You can simply boil and grind some egg shells like you did to prepare your natural supplement. Just sprinkle the powder over the soil around your plants. This super-cheap fertilizer can be really good for plants such as tomatoes and eggplants as often rot due to calcium deficiency. To make your own scouring pad at home all you need to do is crush few egg shells into a bowl. Add the crushed egg shells and some dish washing gel to a sponge and your pad is ready. Gently wash your dishes with the homemade scouring pad. You can even use egg shells to take care of your skin. Just crush few egg shells into very small pieces and add them to a bowl of apple cider vinegar to form a past. Gently scrub your skin with the paste to remove dirt and dead cells from the skin. The past can be very helpful against rashes and acne.